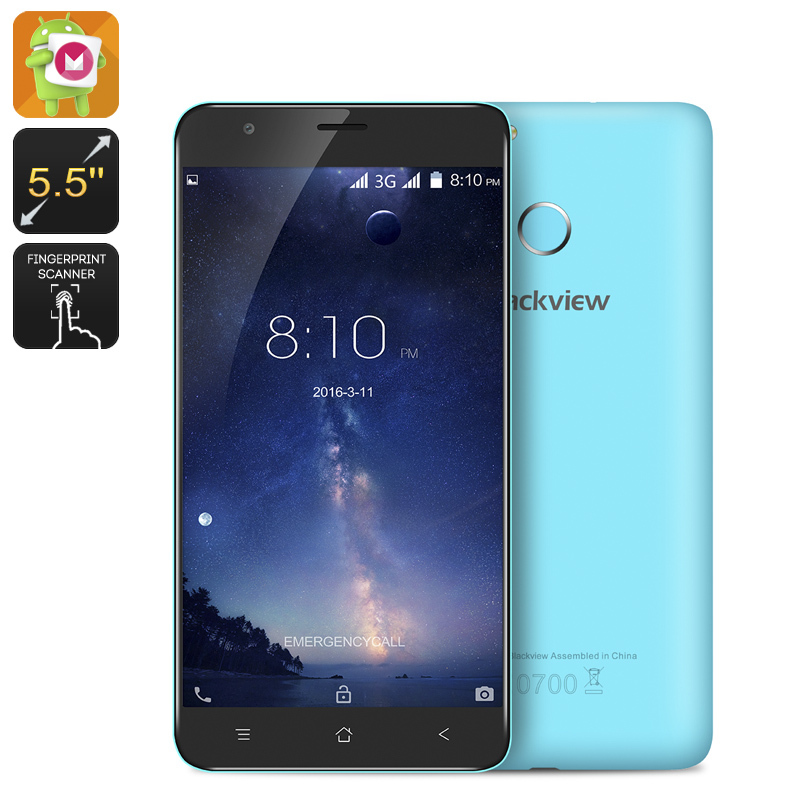 Successfully Added HK Warehouse Blackview E7S Smartphone - 5.5 Inch Display, Android 6.0, Fingerprint Scanner, 2GB RAM, Quad-Core CPU (Blue) to your Shopping Cart. The Blackview E7S is a Chinese Android phone that holds some advanced features yet comes with a surprisingly low price tag. Running at an Android 6.0 operating system this sleek and nicely designed smartphone provides a smooth user experience and offers the latest features and software that is currently available to the mobile industry. Its 5.5 inch HD display has been designed to portray vivid colors, taking your mobile media experience to entire new heights. Featuring the popular MTK6580 Quad-Core CPU that has been clocked at 1.3 GHz and 2 GB of RAM the Blackview E7S smartphone brings along a reliable performance and is capable of effortlessly dealing with your daily tasks. For those of us who like to enjoy their favorite media and games on the go this Android device packs a Mali-400 GPU that allows you to watch the latest HD movies and play demanding games without dropping a frame. A massive 2700mAh battery gives up to a stunning 10 hours of continuous usage time. With Google Play installed you can now freely download and enjoy millions of free movies, games, applications and more on your beautiful 5.5 inch HD display without ever needing to worry about battery life. By holding 16GB of internal storage and the possibility to add another 32GB externally this Chinese smartphone has enough storage space for you to save and store all your favorite files that can now be easily carried along inside your pocket. With its 8MP rear camera this Android phone snaps good quality pictures to ensure that from now on not a single memorable moment will be left uncaptured. A fingerprint sensor additionally brings heightened security to your smartphone, allowing only you to open it with a single touch of the device. This entry level smartphone features all the specs one would expect to find on a high-end device yet comes at a remarkably low price – making it the perfect smartphone for young and old alike. The Blackview E7S comes with a 12 months warranty, brought to you by the leader in Android Smartphones as well as wholesale electronic gadgets..